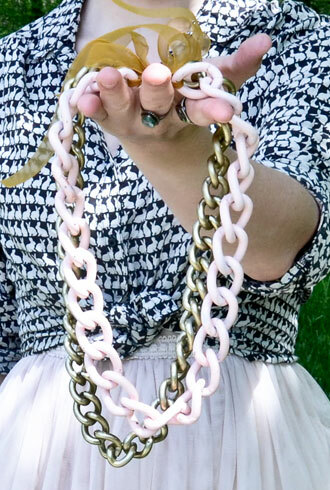 Turn your old t-shirts into a chic new necklace with this easy no-sew DIY project. Chain fringe necklaces are a hot red carpet accessory this season. Find out how to get the look for as little as $6! 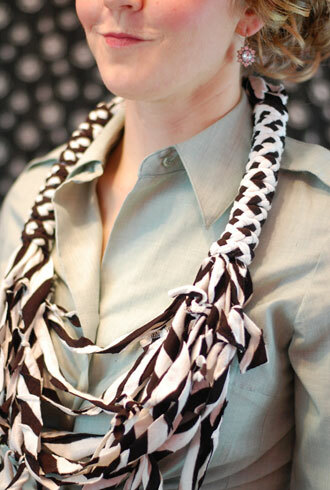 There is no better way to spice up your cashmere and cable-knit sweater collection than with a bit of flashy neck candy.